A new technology pilot program at Pennsylvania State University enables students to attend and participate in class without ever stepping inside the classroom. The research institution is piloting the BeamPro Smart Presence System from Suitable Technologies, which allows students to be present through a robot that can be remotely operated via computer application. 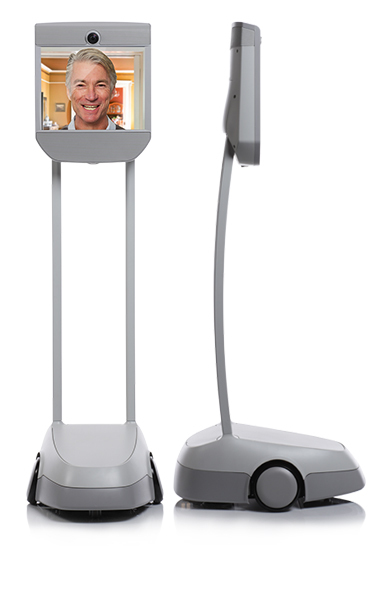 Users can steer the BeamPro robots inside or outside of the classroom – they can even command the robot to take an elevator to another floor or travel around campus. All this is accomplished through BeamPro’s key features: two wide-angle cameras; a 6-microphone array that eliminates echo and reduces background noise; a 17” 4:3 LCD screen; and a built-in speaker. The robot can travel as fast as 2 mph and can connect to the internet through two dual-band radios or an optional 4G card. The pilot program is being run through Penn State’s Teaching and Learning with Technology (TLT) office. In the last year and a half, TLT has used the technology to virtually bring international artists to speak to students; provide tours around the campus during a regional conference; connect students to academic advisers; and engage youth in robotics through a summer outreach program, to name a few examples. As of now, Penn State News reports, TLT is working out long-term plans for the robots, including research on the various ways that robots can be used in education. To learn more about the ways that TLT is using the BeamPro robots, visit the Penn State News site.